Tinder. You know it, and everybody you know is on it. It’s simple, maybe deceptively so. Then why after two weeks of swiping do you still only have three matches? While there are any number of reasons, today we’re looking at your Tinder bio. When most people have trouble matching, their first instinct is to pore over their photos looking for an off-center smile, but a few key slip-ups in your bio could be just as damning. 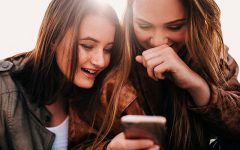 Bios are a tricky balancing act of text communication and flirtation, two skills we’re never really taught but you’ll have to be successful at to nail your Tinder game. If you’re having trouble figuring out what’s wrong with your bio, these are some of the most common mistakes you might be making. 1. You’re not saying enough. All the time, I see bios that only include a location, a star sign, the phrase, or worse—nothing. And please don’t write, “If you wanna know, just ask.” The bio is everyone on Tinder asking. Let’s be clear: a low effort bio is a turnoff. If you can’t be bothered to describe yourself in 200–500 characters, it doesn’t bode well for you showing up to a date, you know, something that actually requires effort. 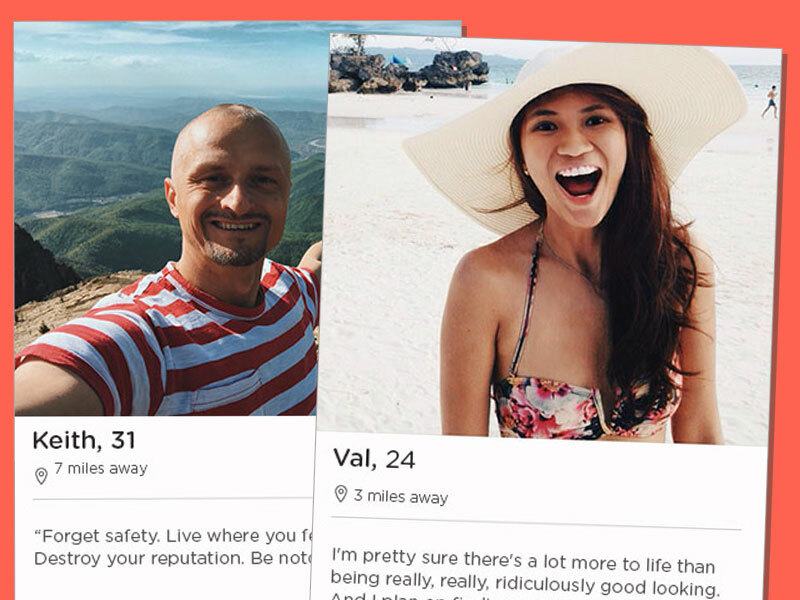 A bio is one of the only ways other online daters can get a feel for your personality. So aim to get a paragraph out there, even if it’s just two sentences. Try reading it aloud. Can you imagine yourself saying the lines to someone? If not, get back to the drawing board. 2. You’re saying too much. This is where the balancing part comes in. You can say too much. Definitely give some of the highlights, but leave some space for mystery, too. Include that you play guitar. Leave out that you just broke up with your boyfriend. Include that you’re an accomplished Thai chef. Leave out your long list of chronic allergies. Your bio is there to spark lighthearted, flirtatious conversation and show some depth. It’s not a summary of your life till now. 3. You’re being overtly sexual. 4. Your bio is a list of facts. Your bio should tell a story. Not the entire story, but a story nonetheless with some brief narrative. This story should help other people connect with you connect and with any luck will lead to dates. A list of personal facts isn’t a story. Stringing your list together in a few sentences is better. Making these sentences read like conversation is best. Saying that you like The Office, traveling, and pizza doesn’t tell people much. Saying that when you were traveling Peru a llama chewed on your hair communicates much more than a love of traveling. 5. You’re not asking for what you’re looking for. Most people I’ve met can’t read minds (I think), but I’ve managed to circumvent this by saying what I’m thinking. 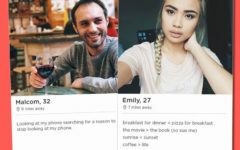 On Tinder, everybody is looking for something different and they can’t read each other’s minds. They won’t know what you’re thinking before you say it, so let them know. It’s easy. Just write a short sentence about what you’re looking for in a partner, whether it’s casual or committed, adventurer or couch potato. Even just a little tidbit about what you want out of your potential partner will help other people assess if you’re a good match. 6. You use too many emojis. Emojis are good to ease the eyes on a wall of text or to add a sense of playfulness, but if the cinematic masterpiece The Emoji Movie taught us anything it’s that in this department less is more. Remember, there are a lot of single people out there. You want to put in a little bit of effort to stand out. Always proofread your writing. Misspellings and mixed up homophones are a surefire way to come off as lazy, and will usually result in a left swipe. 8. You haven’t consulted your friend. Friends know you best, and that goes for Tinder. Grab one of your friends of the gender you’re trying to attract and have them read through your bio. They can help you highlight the qualities that need a little bit of love and axe the bits that are better left out. 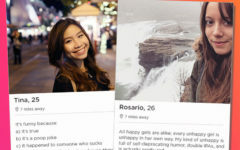 A great Tinder bio can be one of the trickiest parts of crafting a perfect profile, but it’s usually a quick fix, too. Run through this list of checks and in thirty minutes, you’ll have something worth writing home to your future lover about.